Oooo~what flavors did you get?? 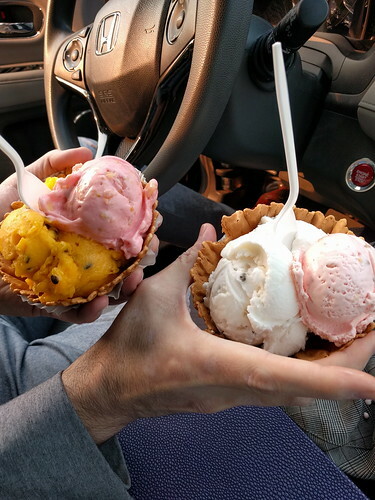 @divatobe: Four flavors to taste/test — sour sop, guayanaba, mango, and coconut. AMAZING flavors.